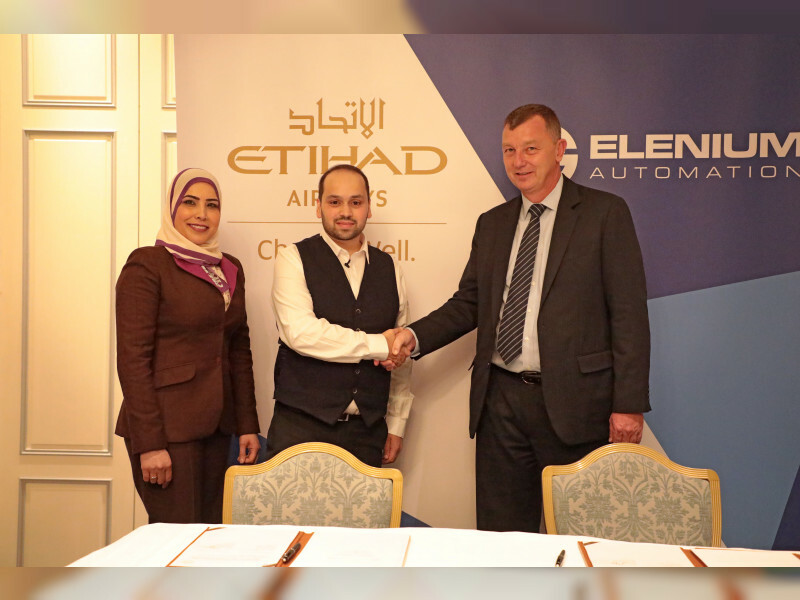 (London) – Etihad Airways and Elenium, a provider of automation technology solutions, yesterday signed a Memorandum of Understand, MoU, for cooperation to develop a variety of innovative solutions in both passenger and freight processing services. A key area of cooperation involves the sharing of technologies between Elenium, Amazon Web Services, AWS, the technological arm of Amazon, and Etihad Airways. Together, the three entities are collaborating to demonstrate innovative platforms and solutions that will use digitalisation to simplify the passenger journey.